The Fiji petrel (Kacau ni Gau) was lost for a 100 years, but rediscovered in the 1980s. The Fiji petrel (Kacau ni Gau) and Red-throated lorikeet (Kulawai), two of Fiji’s native bird species, are on the verge of dying out. The Regional Programme Coordinator for Birdlife International Pacific Partnership Secretariat Mark O’Brien said their organisation has been working on investigating more about these exclusive birds. “The Fiji petrel (Kacau ni Gau) which we lost for a 100 years but later we found it 1980s,” he said. “But since then we have really struggled to work out as to where the Fiji petrel bird breeds in Gau Island, but we can’t really find it within the rainforest on the island at this stage. According to Mr O’Brien the Fiji petrel comes out at night. “We can only find these birds at night time which breeds in burrows underground,” he said. “There is another bird called collared petrel and they get heavily predated by cats. “When they come out of the burrow, the cats catch the birds and we had found a few around the burrows. To breed these endangered birds, one has to find the burrows first. Birdlife International has been working on projects to devise plans on the best way they we can do this. “Recently, we had a couple of dogs trained specially to smell the birds underground and they searched for the burrowed,” Mr O’Brien said. 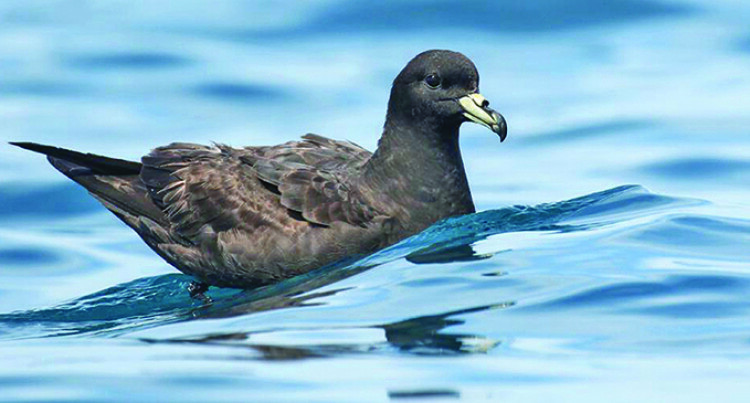 “Until now they have only found the burrows of the collared petrel which is a common bird. “Unfortunately, our dogs had passed away so no we do not have any more dogs trained to do this. “We now have to think of what is the next project what are we going to do next project. All these methods are quite expensive and labor-intensive. Mr O’Brien and his team have to make sure it is a successful one.